The city has lived through great fires, invading Napoleonic forces, the loss of its “capital city” status and the introduction of Communism, with each phase shaping its culture, politics, architecture and landmarks. British passport holders must obtain a visa before travel to Russia. It’s an intensive process, so give yourself ample time to complete the required paperwork and have it processed. The currency in Russia is the Russian rouble (RUB). Most large hotels, restaurants and shops accept credit cards although taxi drivers typically only take cash. It is an offence to exchange money on the streets in Russia, so if you take foreign currency (dollars and euros are recommended), exchange it at banks or airport bureaus. Taking photos of military establishments or sites of strategic importance, including airports, is prohibited so take note of any signs stating this. 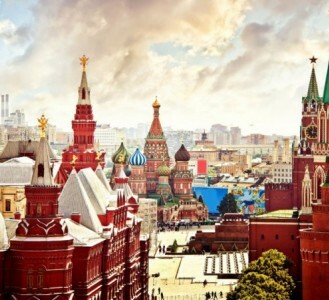 Moscow experiences warm summers and cold, snowy winters with the hottest month falling in July and the coldest in January.